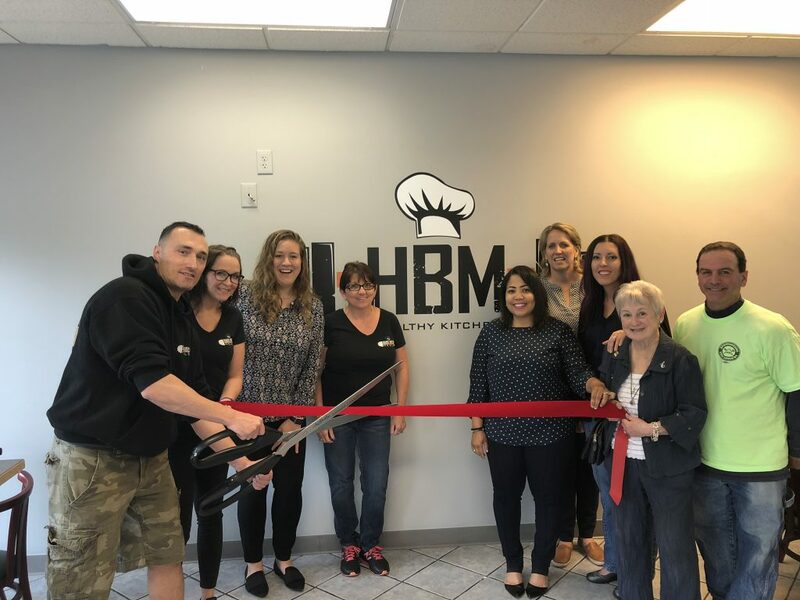 The Greater Haverhill Chamber of Commerce welcomed Hard Body Meals to Haverhill at Friday, June 15th’s Ribbon Cutting alongside owners Scott Brandolini and Felisha St. Lawrence. Originally Hard Body Meals was a meal prep service for those with a sophisticated palette interested in the convenience of prepared meals and healthy alternatives. Scott Brandolini formerly served as an executive chef for over 10 years before opening Hard Body Meals. Using his experience as a chef and a fitness enthusiast he decided to blend the two together and create Hard Body Meals. His customers include everyone from body builders to business executives and everyone in between. Scott decided he then wanted to open his own restaurant and serve the food he was prepping. He now offers the full meal prep services with the choice to also eat in or take out. He is conveniently located on route 97 in Haverhill at 612 Broadway Haverhill MA 01832. Photo: Owner Scott Brandolini cuts the ribbon alongside his fiancé and co-owner Felisha St. Lawrence, Mother Linda Brandolini, Father Bill Brandolini, Hillary Rogers Membership and Marketing Manager at the Greater Haverhill Chamber of Commerce, Tita Antonopoulous Membership Coordinator at the Greater Haverhill Chamber of Commerce, and fellow chamber members.